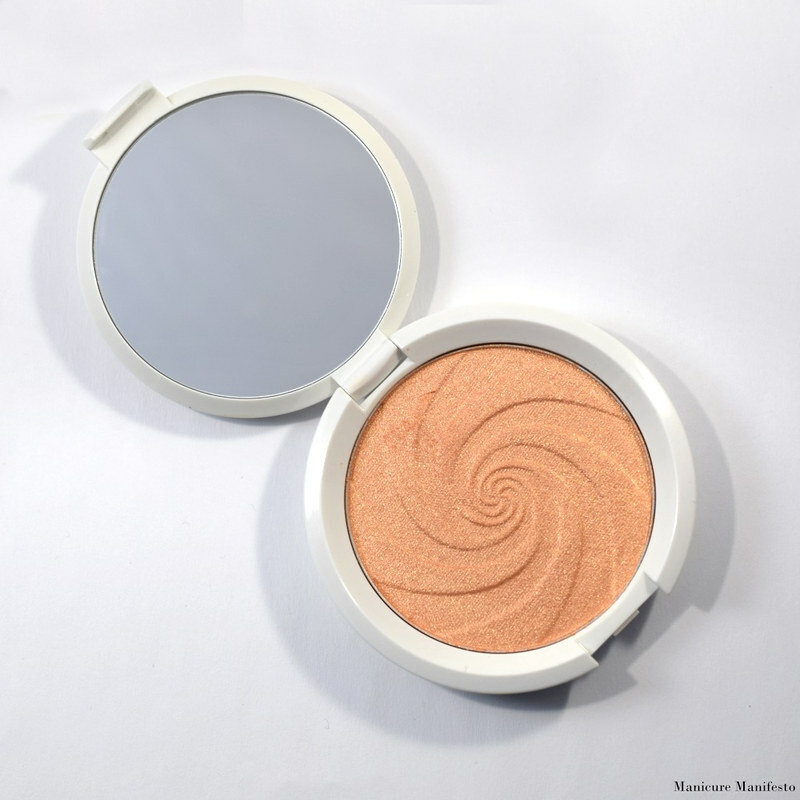 Today I have the Dreamiscle Shimmering Skin Perfector Pressed Highlighter to share with you. 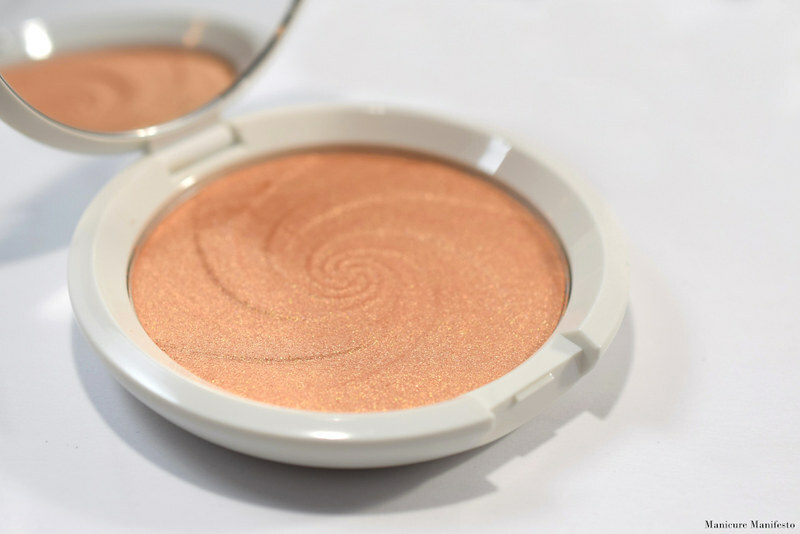 I actually purchased this a few months ago but it's recently reappeared in the Sephora sale section (at least on the Canadian website) so I thought this post might be helpful. Let's take a look at swatches. 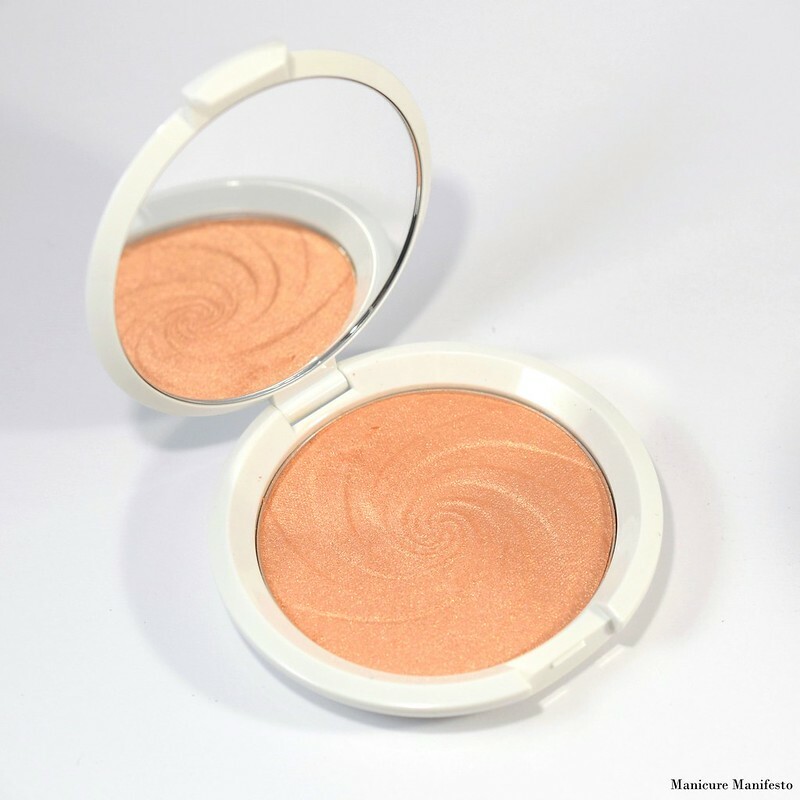 Dreamsicle is a soft tangerine with a strong golden sheen and a hint of pink. 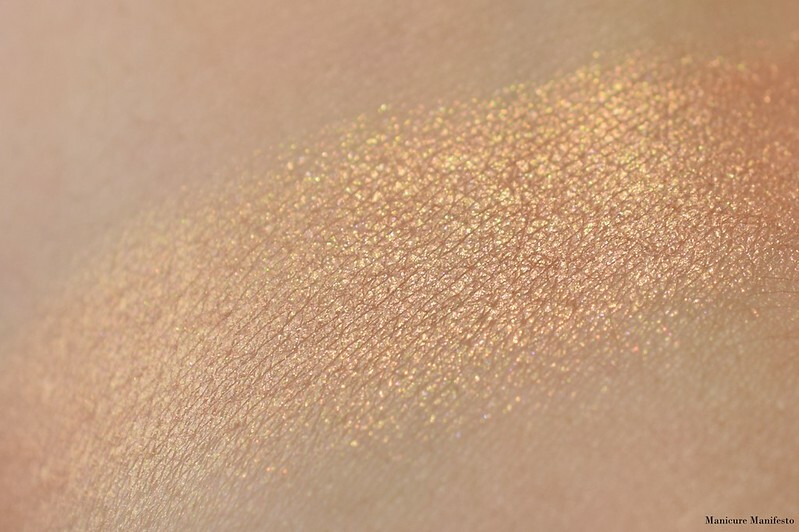 The swirl imprint in the pan is also really pretty. I'm a sucker for pretty packaging elements like this. 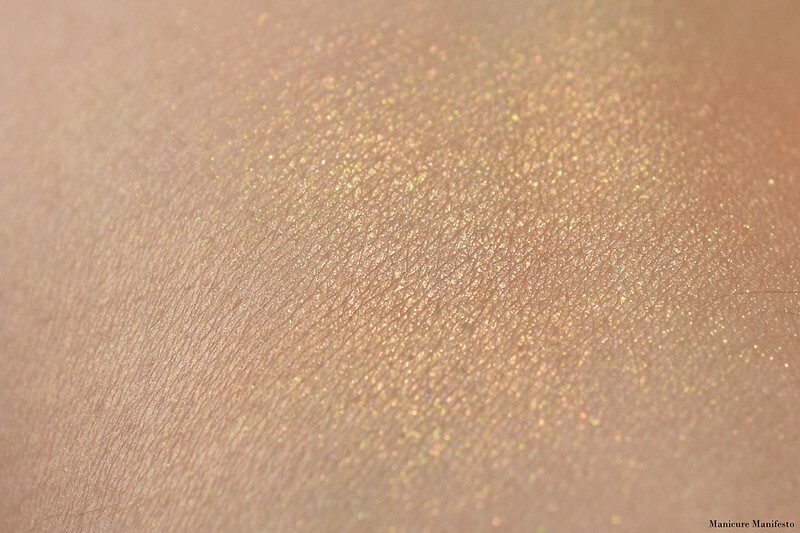 This shade was nicely pigmented and can be built up to pretty much opaque coverage or blended out to a softer sheen. 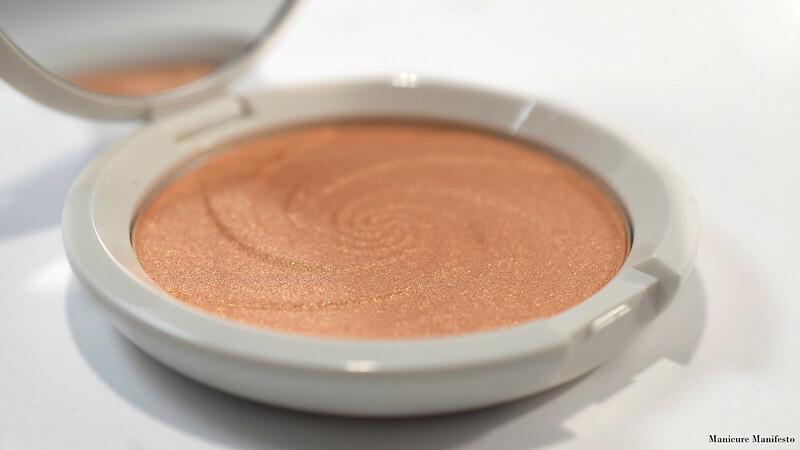 In the pan it looks predominantly orange toned, but when blended out it becomes a softer peachy shade with that strong gold reflect.